Native Butterfly Milkweed transplanted to my yard. Butterflies really do love it! Confession....I'm not a good gardener. In fact, I'm a pretty horrible gardener! I always have great intentions of having a beautifully manicured lawn and lush vegetable garden. But then life happens. 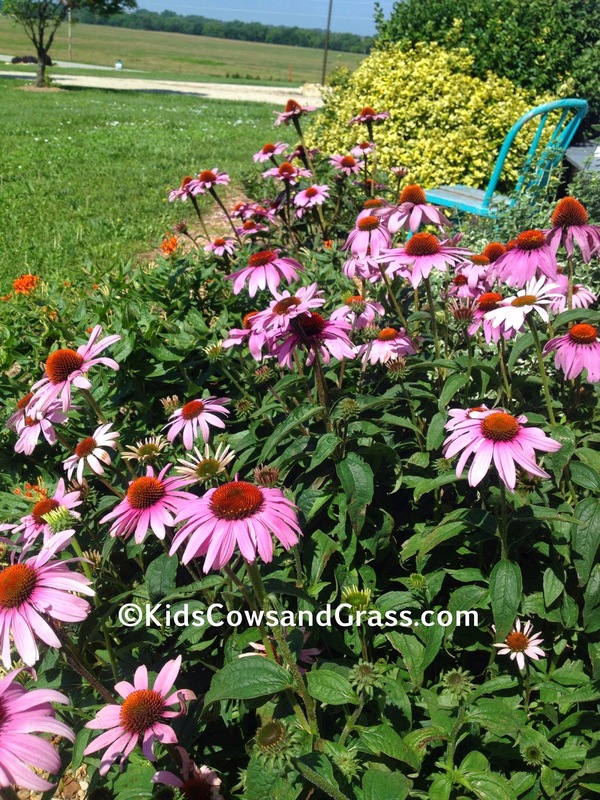 This is a hybrid, but it is based on the "Indian Toothache Weed" that grows native in our pastures. So in order to offset my brown-thumb, I plant native perennials in our yard. In fact I often dig them up from the pasture. Heck, if they can grow in the pasture without extra water, they should grow in my yard when I forget to water them--for a month--in July--in temps around 100! 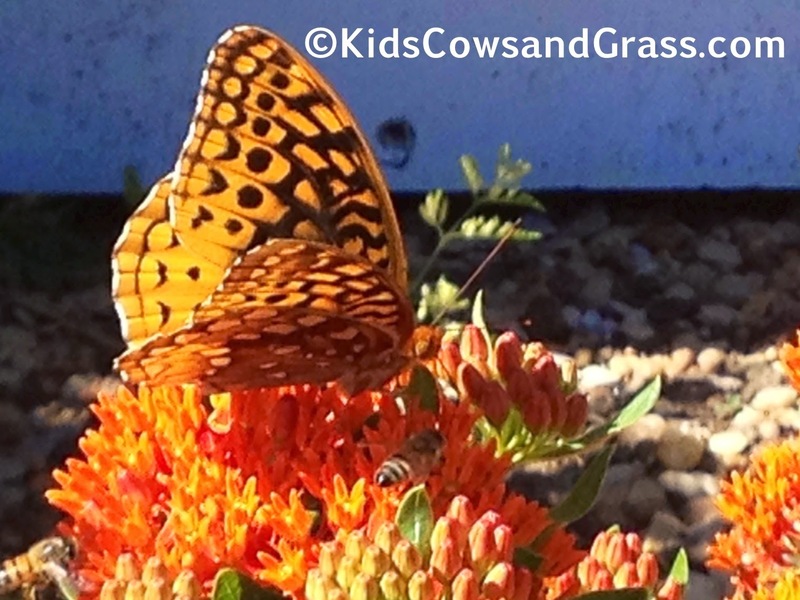 Just as a side note...did you know that wildflowers are good for our native grass pastures? They show biodiversity and that means a healthier pasture! 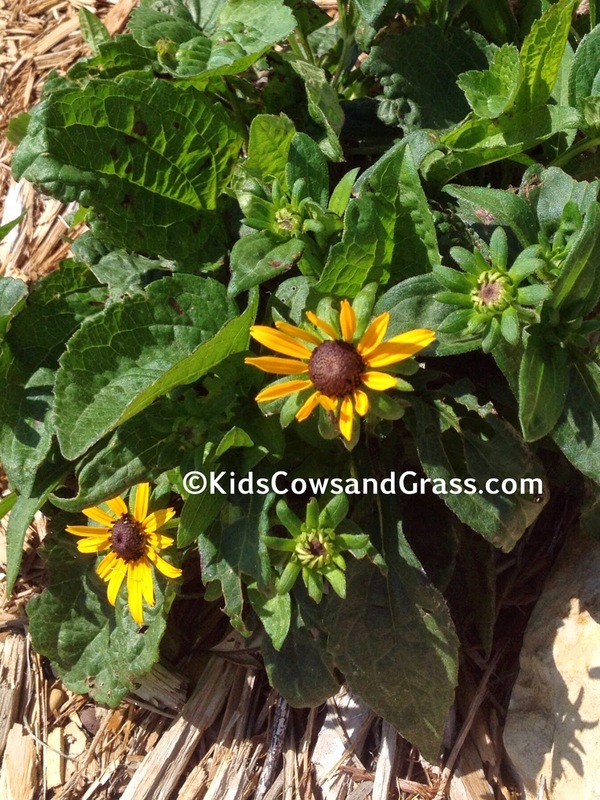 And of course, these Rudbeckia are hybridized sunflowers...or at least a type of sunflower.